U.S. Defense Secretary Ash Carter testifies before a House Armed Services Committee hearing in Washington, Dec. 1, 2015. WASHINGTON — The U.S. military will let women serve in all combat roles, Defense Secretary Ash Carter said Thursday in a historic move striking down gender barriers in the armed forces. “As long as they qualify and meet the standards, women will now be able to contribute to our mission in ways they could not before,” Carter told a Pentagon news conference. “They’ll be allowed to drive tanks, fire mortars and lead infantry soldiers into combat. They’ll be able to serve as Army Rangers and Green Berets, Navy SEALS, Marine Corps infantry, Air Force parajumpers and everything else that was previously open only to men,” he said. Carter said the opening to women would take place after a 30-day review period, after which they would be integrated into the new roles in a “deliberate and methodical manner” as positions come open. The waiting period enables Congress to review the decision and raise any objections. He acknowledged the decision could lead to more debate over whether women would have to register for the draft, an issue he said was already under litigation. The U.S. military is an all-volunteer force, but young men are still required to register in case the draft is reactivated. The decision drew a rebuke from the Republican chairmen of the armed services committees in the Senate and House of Representatives. But some other lawmakers welcomed the move. “Secretary Carter’s decision to open all combat positions to women will have a consequential impact on our service members and our military’s warfighting capabilities,” Sen. John McCain and Rep. Mac Thornberry said in a statement. They asked the Pentagon for details on a Marine Corps request for exceptions, which was overridden by Carter, and information on how draft registration might be affected. 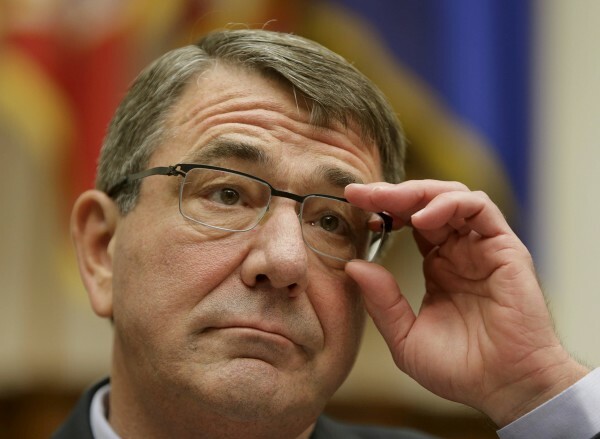 Two Democratic members of the armed services panels welcomed Carter’s decision. Sen. Kirsten Gillibrand said it would “strengthen our armed forces” and Rep. Niki Tsongas called it a “long overdue” move that would eliminate some of the barriers to advancement that women face in the military. Carter’s decision comes nearly three years after the Pentagon first instructed the military to open all positions to qualified women, including front-line combat roles. A restriction on such roles was seen as increasingly out of place during a decade of war in Iraq and Afghanistan in which women were often in harm’s way. Women represented about 2 percent of U.S. casualties in Iraq and Afghanistan, with some 300,000 deploying to the conflict zones. Since the Pentagon directive in 2013, the services have been examining whether women should be excluded from any military positions. Three women recently passed the rigorous Army Ranger course, but some 220,000 military jobs are still closed to women. Carter said most of the services favored opening all jobs to women, but the Marine Corps had sought a partial exception for roles such as infantry, machine gunner, fire support reconnaissance and others. He said he considered the Marines’ request and believed its concerns could be addressed. Women already serve in combat roles for the armed forces of a few developed nations, including Canada and Israel, but officials have said demand from women for such jobs in most NATO countries is very low.